on this day trip from marrakech to essaouira we Leave Marrakesh at 8h am and head directly to Essaouira, stopping for breakfast on the way. The day is at your leisure to explore this quiet ocean-side city. Essaouira the old Mogador port city on the Atlantic. 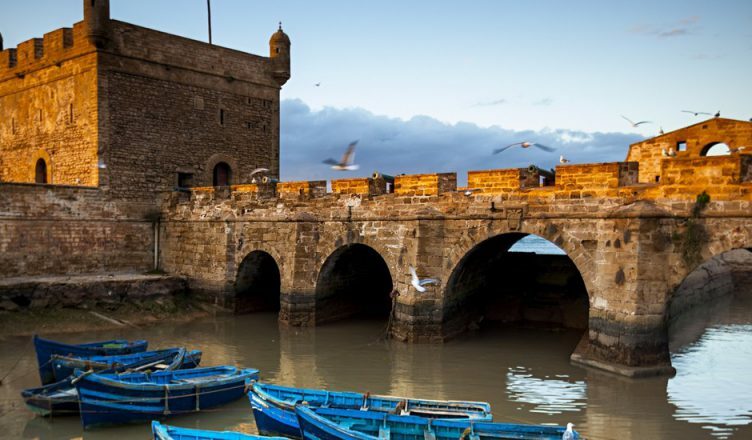 Visit fishing port Medina’s Sqala Kasbah medina and souks. take a walk with a knowledgeable local tour guide to explore the fortified city and be sure to listen to some Gnawa music. Depart early evening to head back to Marrakech.